​​*** For a list of our services for Palm Sunday, Holy Week, and Easter, please click here . Don’t forget about the kids’ Easter Egg Hunt at Saint Barnabas on Saturday, April 20, at 1 PM. All kids welcome. *** Please join us for these upcoming events. Please click here for details. ​*** For a complete list of our parish breakfasts, dinners, hoagie sales, yard sales, and gourmet food and bake sales, please click here. *** Join us for “Pizza Church” at 7 PM on Wednesdays at Roman’s Pizza House, Bayshore and Town Bank. Pizza Church is a time of conversation and fellowship. There’s no agenda - just a time to gather and talk about what's going on in our lives and the world. *** There are free online Bible studies based on the scripture readings for each Sunday. These studies, both in English and Spanish, are prepared by our seminarians. Please click here. *** Please join us for our 2019 concerts here at Saint Barnabas. All concerts are on Sunday afternoons at 3 PM in our church. Light refreshments are served. There is no change for these performances. However, freewill offerings for our outreach ministries are gratefully appreciated. All are welcome! Please invite your family and friends. *** Narcotics Anonymous (NA) hosts meetings four times a week in our hall: Mondays at 6 PM, Wednesdays at 6 PM, and Fridays at 12 Noon and 7:30 PM. All are welcome. 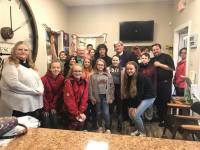 *** Saint Barnabas by-the-Bay has joined with Saint Mark and All Saints Church in Galloway and Holy Trinity Church in Ocean City to form the Atlantic Convocation Youth Group. This group is for all youth from 6th to 12th grade. Our young people are always welcome to bring their friends. The group meets monthly on Sundays at alternating locations. Examples of recent activities are Bowling, Escape Room followed by pizza, and the Hayride and Corn Maze. Upcoming events are posted in the Sunday bulletin. For more information, please see Maureen, Rosemary, or Mother Lisa. Please click here to visit the Atlantic Convocation Youth Group on Facebook. *** Our knitting group meets regularly on Thursday nights at 7 in the parish hall. 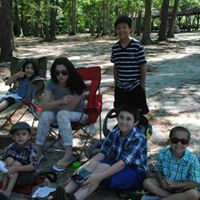 Please speak with Robin, check the Sunday bulletin or call the office at 609-886-5960 for the date of their next get together. *** Marcie, who is a nurse, offers free blood pressure readings between services on the first Sunday of each month. 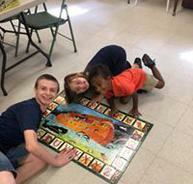 *** If you or your group is interested in using our hall on a one-time, short term, or long-term basis, please speak with Leslie or Mother Lisa (609-886-5960). We'll be happy to help you. ​*** Help Wanted! 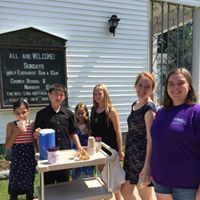 How about sharing a little time and helping as a greeter, reader, server, singer, or altar guild member on Sundays? Or perhaps visiting our shut-ins, or helping at our thrift store or food pantry during the week? Even if you only can help with a one-time event such as a fundraiser, that will be a big help to us all. We need helpers like YOU! Please think about it and speak with one of our faithful volunteers or Mother Lisa. Thanks very much. 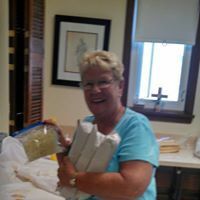 *** We are grateful that several of our members bake the Communion bread we share on Sundays. They need some extra baking hands, please. If you can help, please speak with anyone on our Altar Guild or Mother Lisa. We have a very good recipe! Thank you. *** Do you enjoy gardening? Our Garden Helpers welcome your green thumb in caring for our church gardens. We’re always in bloom. Please speak with Nicki or Maureen. ​*** Our music team appreciates new singers and musicians. Please join us. Rehearsals are on Thursday evenings from 6 to 7 in the church. We take part in the 10 AM Eucharist on Sundays. *** New Ideas: Do you have an idea or a talent? Perhaps there is something that tugs at your heart. Is there something that you would like to teach or an activity you might like to start up here at Saint Barnabas? Folks like you are how we start programs for each other and our community. If you have an idea, please don't be shy. Speak to someone on the vestry or Mother Lisa. Your light is too bright to hide! *** We have a small "honor system" library at Saint Barnabas. Church members and visitors are welcome to borrow books. Bookcases are in the hallway that connects our chapel and hall. There are religious and other types of books. Books for kids, too. Used and new book donations are appreciated. *** Saint Barnabas Homemade Soup is being served! Vegetable, split pea, chicken noodle, and other varieties from time to time. No salt added. $4 a pint. Available on Sunday mornings or other times by calling the church at 609-886-5960. *** Please bring your empty ink cartridges to church. There is a box for them in the narthex (church vestibule). Each empty cartridge helps us to offset the cost of office supplies. Thank you. *** Gently used items always are needed and appreciated for our church yard sales, penny parties, and other fundraisers. Please stop donations off in the parish hall on Sunday mornings, or call the office at 609-886-5960 to arrange for a different time. Thank you. *** Please and thank you! ... We welcome clean, plastic shopping bags you want to recycle. Our food pantry and thrift store volunteers put them to good use for others all the time. March 2, Saturday, Diocesan Convention at Crowne Plaza in Cherry Hill. 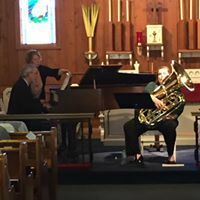 April 14, Sunday, 3 PM, Concert (Saint Barnabas Concert Series) Note: This concert was oroginally scheduled for April 28.